Good to hear from you, Mark. Literally. You've reinvigorated my passion in guitar. Mostly through the professional postings you do. Can I do the great stuff you do ??? 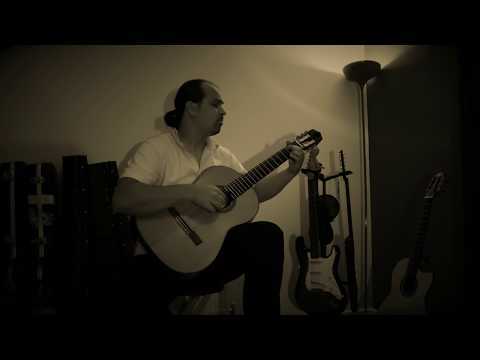 I wish more JS Bach was played this expressively on classical guitar. Your arrangement has made this Bach piece suit the guitar very well indeed. Your technique and playing skill have helped to give a beautiful result here. Makes my recent attempts at playing a classical guitar very vulgar! I will just add my own thanks for the inspiration Markblues - I used to enjoy plucking my way through the odd bit of Bach (I have a book with the 6 violin sonatas and partitas arranged for guitar) so I'm going to pick out a few bits from that. And also I've been getting Guitar Techniques magazine for a few years now, and there's a lady who posts a different classical guitar arrangement in that every month, so there's some good material to work on there as well. Hopefully you'll post some of it here for us to enjoy too? There's always hope Mark - if I manage to get to the stage where I can tolerate the idea of others hearing my efforts, then maybe! Youll be surprised at what you don't think is so good is often the perfect sound for someone else. Very, very nice. I agree with MarkP - there is a tendency with many classical guitarists to play Bach like clockwork. Some pieces suit that well, and others are just crying out for lots of expression. I think you've nailed it here.